We felt that this one of our best dramatic city hall images done in black and white this year. We placed a remotely controlled flash unit behind the couple and fired it off when we took the photo. It created a nice glow behind the bride and groom and added some drama. The couple did the rest with this great rendition of the pose we suggested for them. 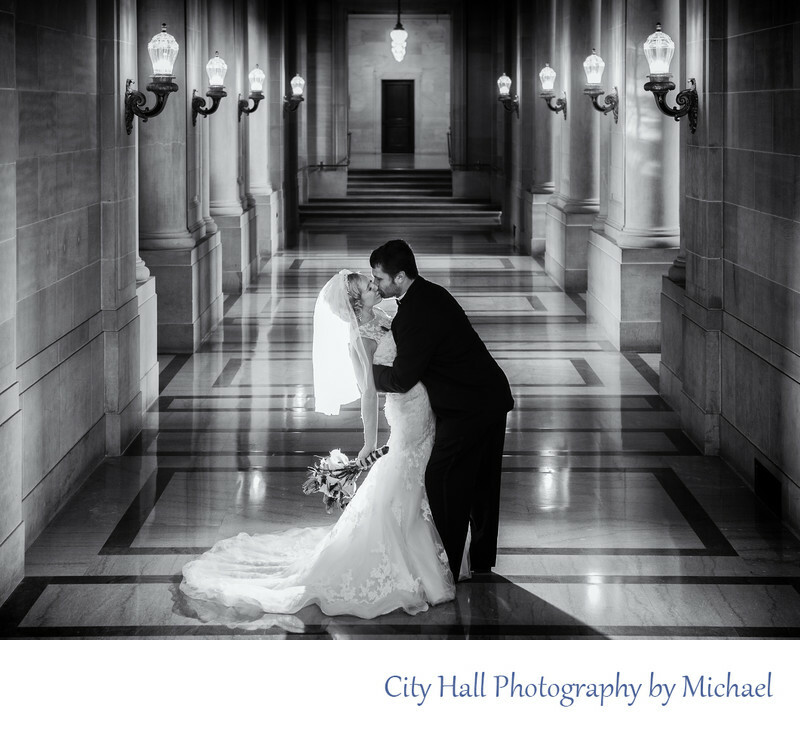 We can only do so much with a couple to create romantic city hall wedding images. They need to do the rest and this couple nailed it! 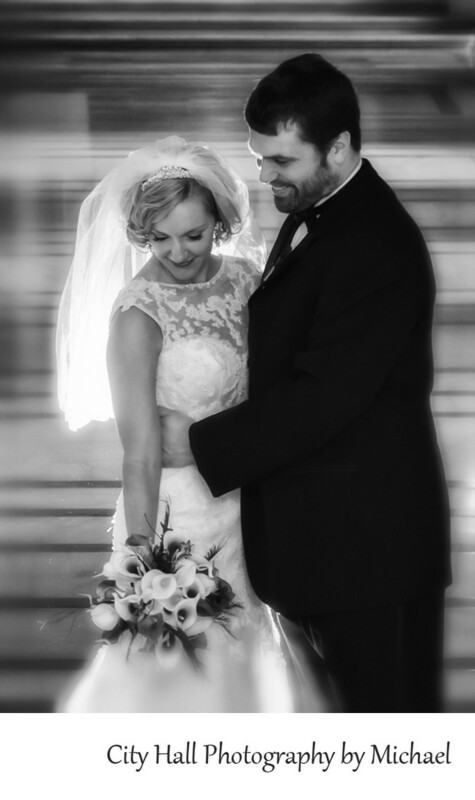 Below is one more example of a black and white image with back lighting. Professional off camera lighting can really enhance any image.